Put the ‘fizz’ into your party with these glamorous pink and rose gold plates with their made for fun message. 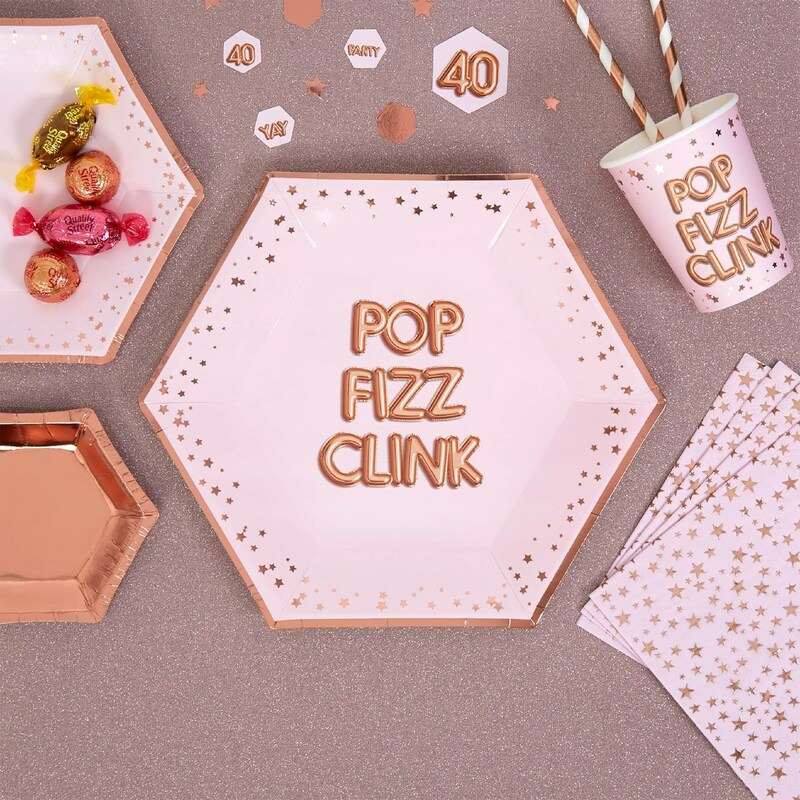 These unusual hexagonal plates are in a pretty shade of pink with rose gold, edged with rose gold foil stars and have a central ‘Pop, Fizz, Clink’ logo in a fun balloon-style font. Elegant yet quirky, they’re the perfect choice for any party or celebration. Each pack contains 8 Plates, measuring 270mm.